The Game of Thrones is one of the biggest shows on TV. It holds the record for most Emmys won by a drama series. If you’re as much of a fan as I am, you might enjoy visiting some of the real life filming locations. Filming locations span half a dozen countries, including Iceland, Spain, Croatia, Malta, Morocco and Northern Ireland. I recently took the Shamrocker Giant’s Rocker Tour of the Republic of Ireland and Northern Ireland (both part of the island of Ireland), which included several of the scene locations. While the Game of Thrones relies on a heavy use of CGI to create their unique landscapes and cities, many locations can still be appreciated in their natural beauty. 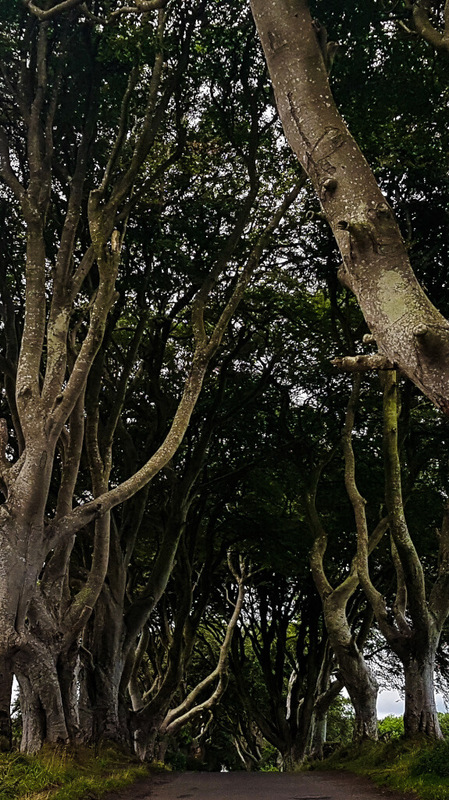 Such is the case with the Dark Hedges. Used way back in the first episode of season two, it’s the setting of Arya’s escape from King’s Landing on her way to the Black Keep. 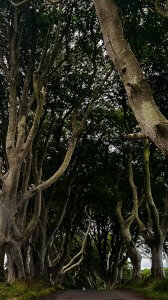 The unique avenue of beech trees was planted in the 1800’s by the Stuart family as an entrance to their Georgian mansion. Some of the trees have since fallen down, but there is still a stretch fully intact. It’s not a long walk, but fun nonetheless if you can imagine yourself riding on a horse down a dirt path under the trees. 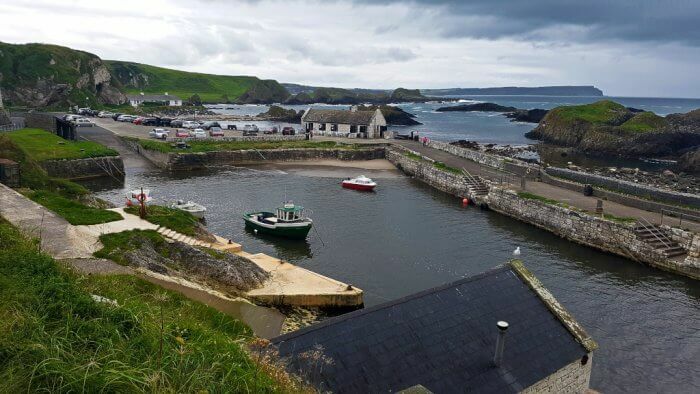 Ballintoy Harbor has also been used only once. It was the scene of Theon Grayjoy’s return to Pyke. Even without the heavy CGI, it’s an beautiful location. Aside from the harbor itself, there are rocks and tide pools, deep caves and small beaches to explore. HBO certainly did a good job finding this spot! Just a little ways down the coast from Ballintoy Harbor is Carrick-a-Rede, the Rope Bridge. 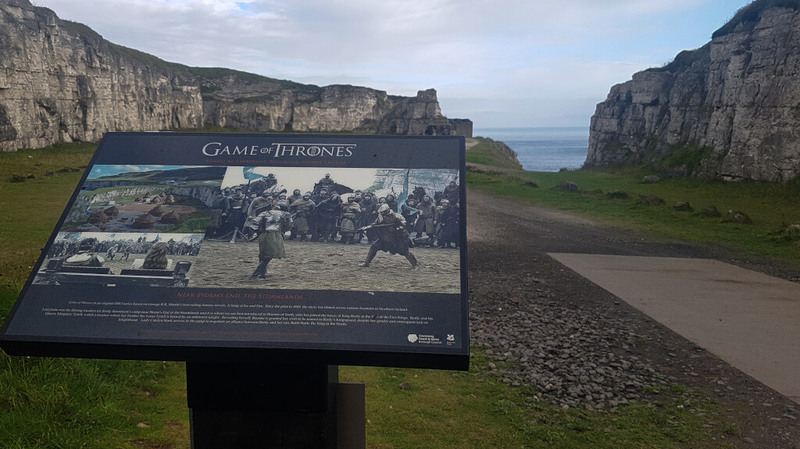 The bridge itself wasn’t used for filming, but rather the Larrybane quarry nearby. It’s where Renly Baratheon made his camp in Storm’s End in the Stormlands, and Brienne of Tarth shows up for the first time to defeat Ser Loras Tyrell. From the far side of the quarry you can actually see the rope bridge, but only if you know what you’re looking for. Of course, Game of Thrones isn’t the only attraction in Northern Ireland. Just a few miles to the west of Ballintoy Harbor is the Giant’s Causeway, a UNESCO World Heritage Site and one of the natural wonders of the UK. 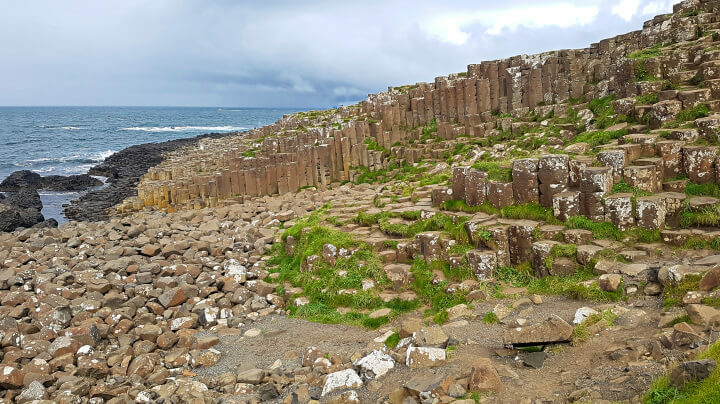 Seeing the unique basalt columns in person was real joy for me, as I’d had it on my bucket list for years. The rest of Ireland (the Island) has other great filming locations as well, and not just for the Game of Thrones. Just beside the highway between Dublin and Galway is the field where they filmed the biggest battle scene of Braveheart. 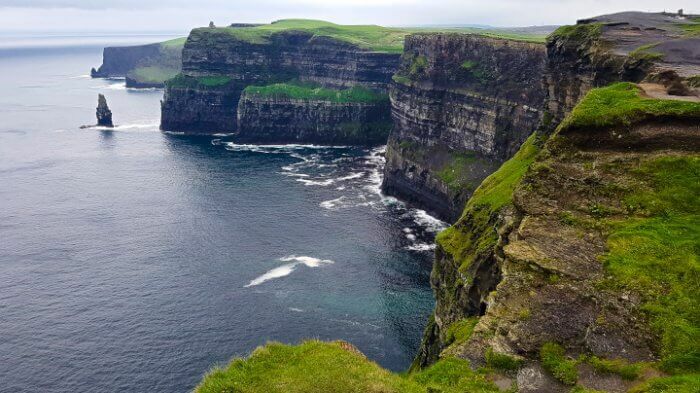 Beyond Galway are the Cliffs of Moher, featured in Far and Away, Harry Potter and the Half-Blood Prince, and The Princess Bride. If you’d prefer a different country to see Game of Thrones locations, perhaps somewhere warmer, read what Croatia is like here. But even if you’re not into Game of Thrones, or seeing movie filming locations, Ireland is still a beautiful island to explore. I’ll be back myself someday to see the rest of the locations I missed on my last trip. Maybe I’ll see you there. Thanks! I’ll check it out, since I definitely want to go back too.